These 5 tips on building an effective creative portfolio�are aimed at fashion and textiles degree students but are just as useful to share with A level students, as well as�possibly�being relevant to non textiles portfolios. Number 3 is interesting where students are encouraged to develop non traditional skills, to challenge what fashion is and to consider careers beyond being a fashion designer. 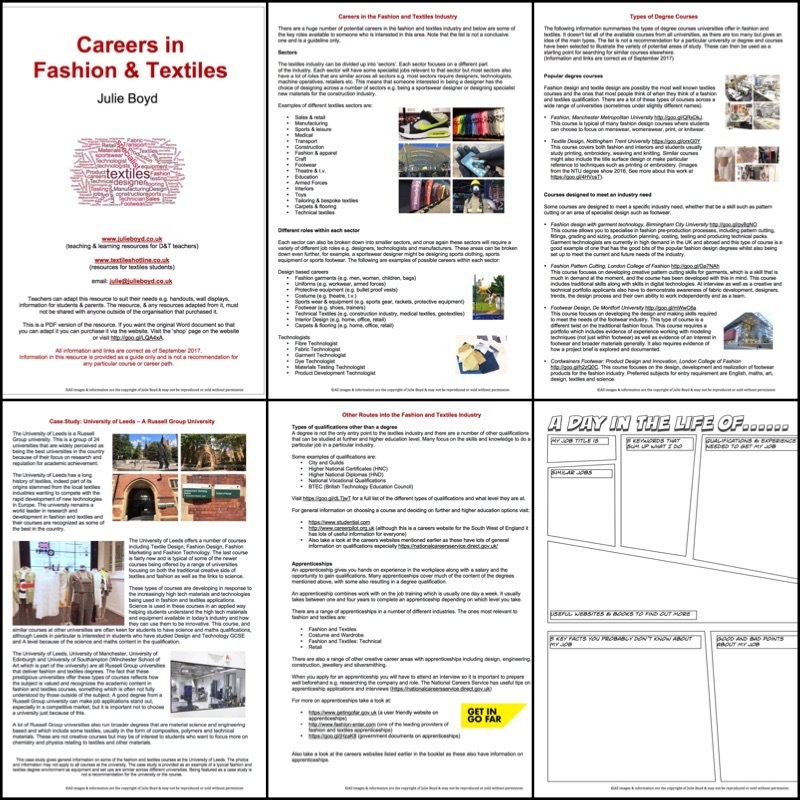 Think�a career in textiles is all about making clothes?